If you haven’t found it yet, The Dragget Show is a furry fandom podcast created by Xander the Blue (dragon) and Alkali Bismuth (the ferret). Lately though, they’ve been expanding their reach beyond their original podcast. Here, we’ll let them tell you about it: “The Dragget Show started as a furry comedy podcast with Xander the Blue & Alkali Bismuth (which we still do! ), but we also do a bunch more things too, like Dungeons & Draggets, Cooking With Alkali, Dragget News Network, Xan Rants, & a monthly livestream FIRECAST. We also do live podcasts at Furry conventions!” So in other words: Look for them on line, and near you! 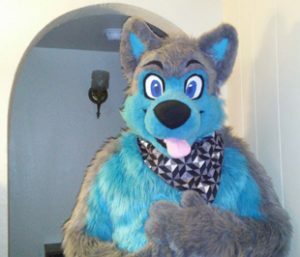 Jess “Rom” Looney — also known as Looney Raccooney — is a furry artist and a fur-suit maker. His web site is new and just getting built up, but he’s already got a backlog of his creative endeavors to show off. Besides taking commission work, he’s hoping to add his own comic series to the web site soon. Recently at conventions we discovered a new service called ArtWorkTee. 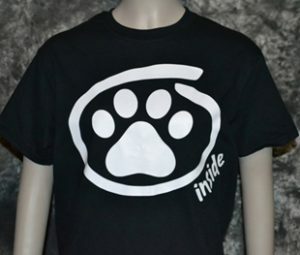 As you can probably guess they specialize in designer t-shirts, not only with some well-known properties (like My Little Pony: Friendship Is Magic) but also t-shirts featuring some well-known Furry Fandom characters like Telephone and Majira Strawberry. You can find them at various Furry and other Fandom conventions, or check out their web site for some of their latest available designs. Cover Your Face — Or All The Rest of You! 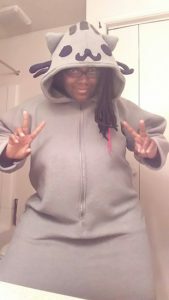 The artist known as Jillor has made quite a name for herself designing, creating, and even repairing full-body fur-suits. So popular is her work that (as you can see from her web site) her commission docket is full up from now through 2018! Interesting side note though: She also has an entire other web site dedicated to her feral dance masks as well. 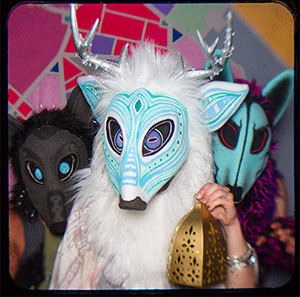 Each and every mask is custom designed by Jillor (under the name Mercury Pale) for the wearer. 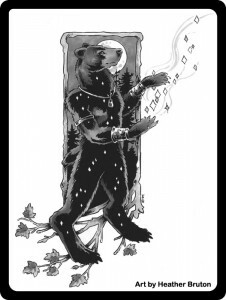 Voting is now open for the 2015 Ursa Major Awards — the furry community’s highest honor. In late May at What The Fur in Montreal, Quebec, Canada, awards will be presented to the best anthropomorphic media from 2015 in eleven categories: Best Motion Picture, Best Short Work or Series, Best Novel, Best Short Story, Best Other Literary Works (compilations and non-fiction), Best Graphic Story, Best Comic Strip, Best Magazine (print or on-line), Best Published Illustration, Best Game, and Best Web Site. Voting will remain open until April 30th, so visit www.ursamajorawards.org to get the full list of nominees, then register to vote. 2015 was a good year for furry stuff in many categories — and of course, 2016 is looking even better! Now It Can Be Told: You, the Furry Fans of the world (literally) have selected InFurNation.com to receive an Ursa Major Award as the Best Anthropomorphic Magazine of 2014. Your humble ed-otter, myself, is moved beyond words by this great honor — our first award of any kind. What more can I say? Thank you to all those who voted, including those who voted for the other fine, fine entries in the magazine category. Continue to look at them, continue to look at us. Together we will try to bring you the best of what Furry Fandom and furry media have to offer. And remember: If you like what we do, Tip Generously! We’ll be here tomorrow and the day after that with more news. 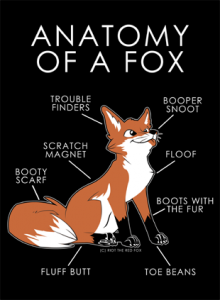 One of those interesting modern-world phenomena: Václav Štajger and Michaela Štajgerová, a furry fan couple from the Czech Republic, are seeking international funding for their new furry t-shirt enterprise. They’ve actually been at it for a while, with Václav running the business and Michaela’s artwork on the shirts, but now problems with their printing company have left them with two choices: Either raise their shirt prices considerably, or go into business printing the shirts themselves. They’ve opted for the latter — and they’ve set up a new Indiegogo campaign to raise money for it, from now through May 12th. True, the shirts would be coming from Europe, but in this day and age what’s unusual about that? Visit their Indiegogo page to see some of their initial designs and find out what sort of perks they’re offering to crowd funders.